Incubation is a traditional Mother and Child portrait where both figures wear Catholic masks from Spain, the child holds a leash made from moths which tether a peacock skeleton pet to her side. 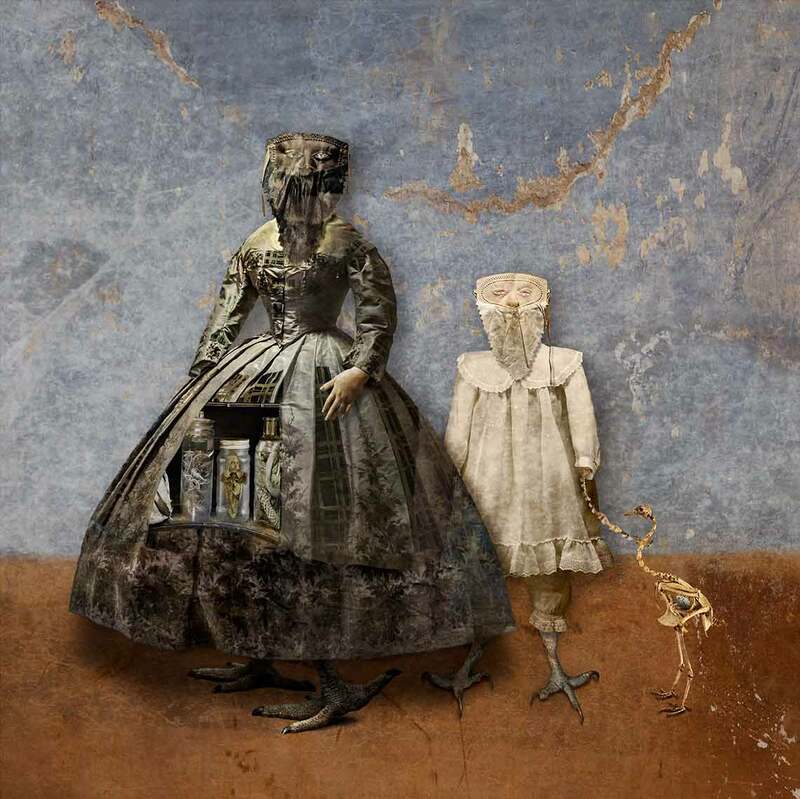 The mother wears a Victorian dress with scientific specimen jars in a cabinet of curiosity in the front of the dress. A haunting portrait by Paul Biddle Artist.